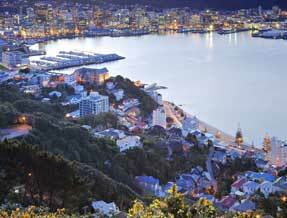 If you're looking for a city break, Wellington hotels have plenty to offer within a short distance of each other. The city centre is confined in its nature, meaning that if you're going for a central hotel, location doesn't have to be one of your worries. You will always be in close contact to the multitude of bars, restaurants and cafes to keep you fed, watered and entertained. There is a presence of many well known hotel chains if you prefer to stick to what you know, while there are also a number of independent options for something a little different. Stay in 5-star luxury or something more reasonably priced - there are hotels to suit every budget. From your central location branch out to the famous cable car at Lambton Quay, the Botanic Gardens, or the Karori Wildlife Sanctuary ten minutes out of town. If you'd prefer to get out of the city altogether and into nature, head north to Kapiti, where you can get in touch with yourself in more deserted surroundings. A car rental would be a good choice here, with Kapiti an hour out of town on the sunshine and nature coast.